Mrs. Onyangos dream has come through. There is electric light in her house. She can listen to the radio and charge her mobile phone. A Solar Home System (SHS) has been installed in her home and she pays back 0,5 USD a day to the provider through the pay-as-you-go system (a mobile phone payment). After 16 months Mrs. Onyango has paid for the SHS. As a result of this financial innovation solar electrification is now made available for families with no immediate access to credit. 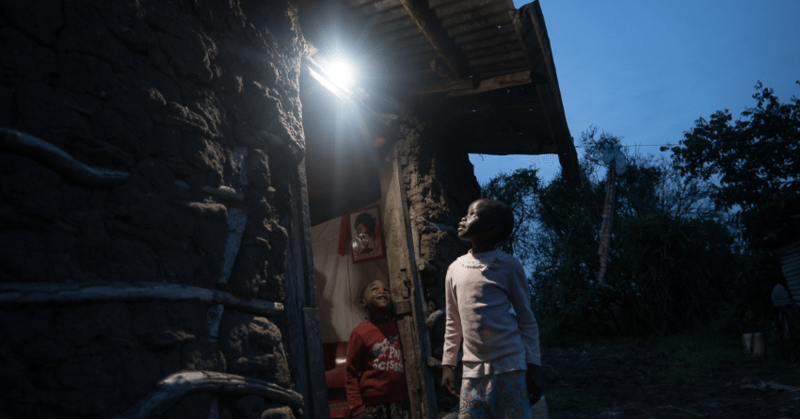 In SustainableEnergys DaCCA program in Western Kenya many houses have now installed a Solar Home System and more will come. SustainableEnergy and the DaCCA program will with the support of the Danish bank, MERKUR Cooperative Bank establish a Micro Finance Institution. At a reduced rate the MFI will purchase SHS from the Kenyan company M-KOPA and install it in the target communities. When established it is the vision of the MFI to purchase and provide other renewable technology to communities such as solar pumps for irrigation and small wind turbines for water pumping. This service delivery intervention is combined by the DaCCA program too further organise and support communities to be able to adapt to new conditions caused by climate change and environmental degradation.